Abnormal load specialists Gundel & Son Transport Services have become the 300th FORS Gold member. The 300th FORS Gold member milestone is testament to the growing number of operators choosing to reach the FORS Gold, the highest level of FORS accreditation, whereby businesses must ensure they work to exceptional levels of safety, efficiency and environmental best practice. With a national membership in excess of 5,100 operators, FORS Gold accreditation is the pinnacle of the FORS progressive scheme, requiring operators to attain the highest possible operational standards and prove significant efficiency savings. Yet despite this challenge, FORS Gold members now number some 300, reflecting the rise in standards across the road transport industry, as championed by FORS. For Mansfield-based Gundel & Son Transport Services implemented the processes and procedures to reach FORS Gold highlighted a staggering 34% improvement in MPG. 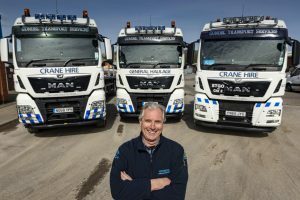 The family-run business, which has been operating for more than 30-years, specialises in transportation of abnormal loads and mechanical handling, and currently runs a fleet of six trucks, two vans and 10 trailers including lorry-mounted cranes and fork-lift trucks. 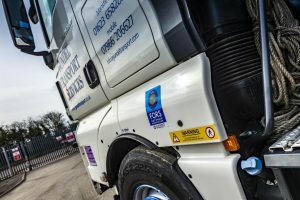 Owner and Transport Manager Kevin Gundel said reaching FORS Gold accreditation was always part of the company’s plan. He said, “I like to be ahead of the game, and knew that FORS Gold accreditation was what we should aim for. Along with the improved MPG, Gundel & Son has seen real benefit from FORS training. 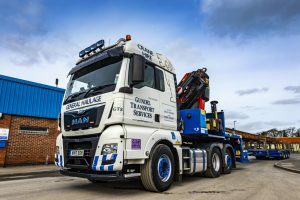 The company currently has one apprentice driver and has always championed driver development, Kevin Gundel said, “Our new apprentice will be the third we have trained, my son being another. It is really important to ensure the drivers are skilled – we have an aging driver workforce so looking to the future is key. The Gundel & Son business is a mix of local and international general haulage services, and specialist abnormal load transportation services which includes over-sized fabricated engineering pieces, overwidth items, or overlength items requiring specialised rear steering trailers. Graham Holder, FORS Head of Quality Assurance and Compliance said, “Sincere congratulations to Gundel & Son on reaching FORS Gold. “Reaching our 300th FORS Gold accredited member is equally great news and shows our members continue to have the appetite and dedication to push for ever higher standards for their businesses.